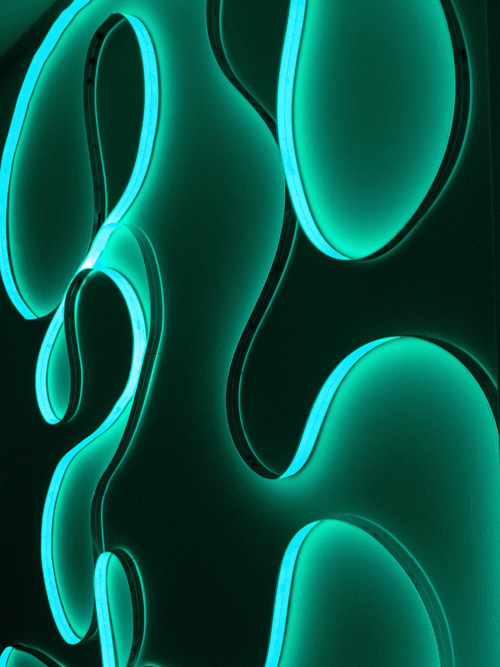 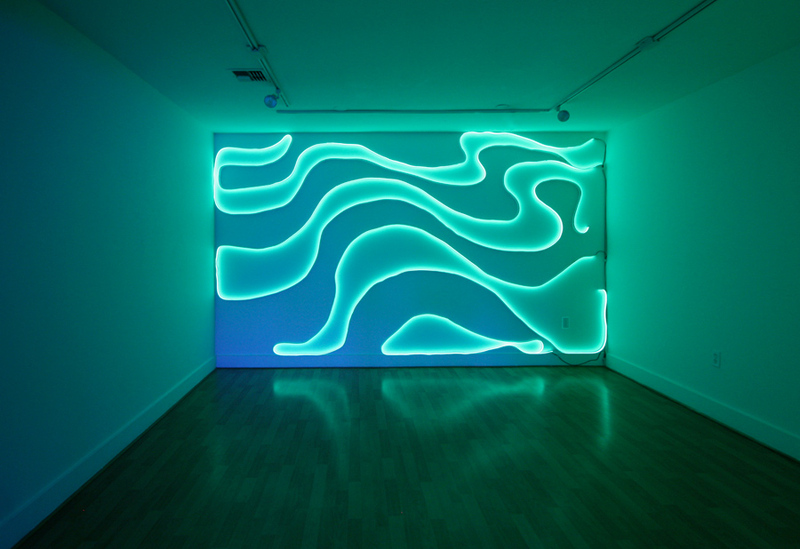 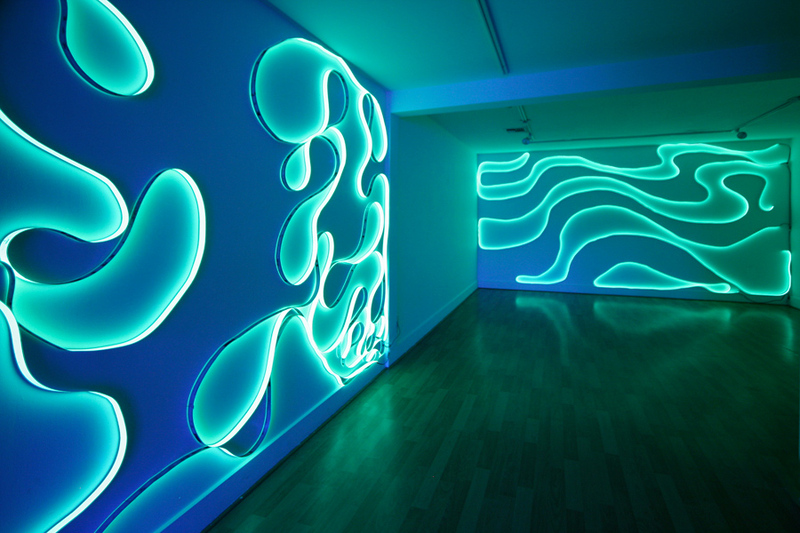 This installation utilizes electroluminescent banding to create a series of dimensional bas-relief drawings inspired by the work of internationally renowned Brazilian modernist Landscape Architect and Artist Burle Marx. 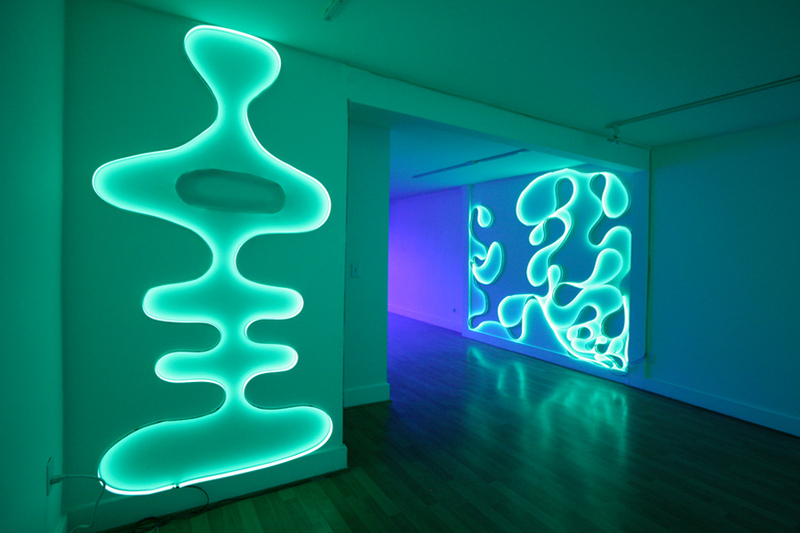 Corson has been a great fan of Marx’s work ever since exploring his work in while visiting his work in Brazilia, Sao Paulo and Rio de Janeiro Brazil. 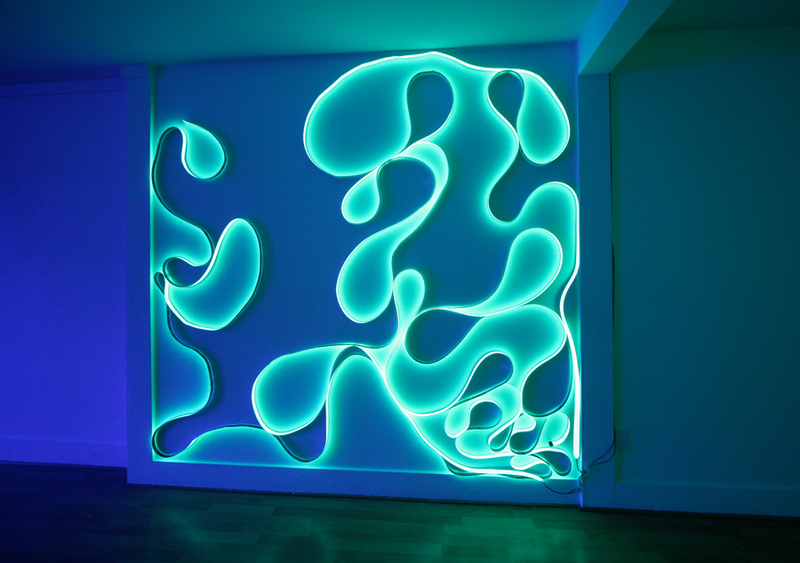 Marx’s love of bold patterning inspired from botanic and natural references inspires these wall-sized glowing installations.